Residual Dipolar Coupling experiments can be analyzed, and alignment tensors determined also with Mspin. 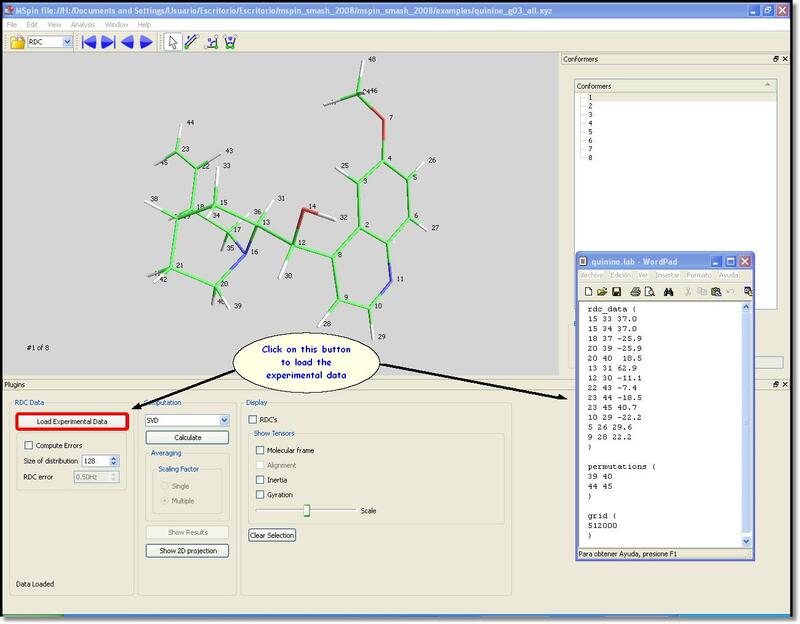 Once the molecular structure has been loaded, the user will need to load an input file containing the experimentally measured RDCs by clicking on “Load Experimental Data” button (red rectangle in the picture below) or by using “Paste Data” button if the corresponding file has been opened. 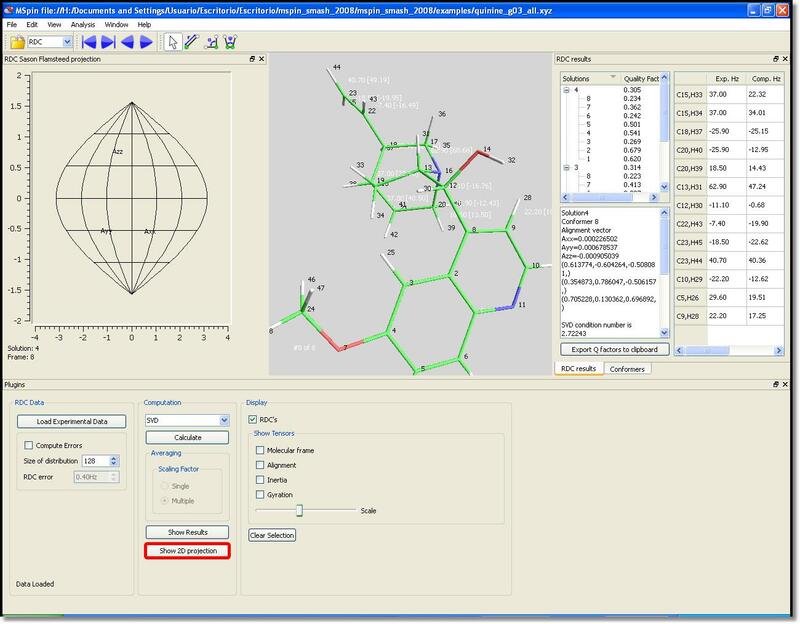 Once the data are loaded, the user will be able to select the computation algorithm (SVD, TRAMITE or Almond-Axelmeyer) by using the ‘˜Computation’ scroll down menu. SVD (Singular Value Decomposition): It provides the best minimum squares solution according to the experimental data. It is the most used method. Tramite: it assumes that the vectors system of the alignment tensor has the same orientation as the inertia vector. Almond: it assumes that the spin tensor has the same direction that the inertia vector. 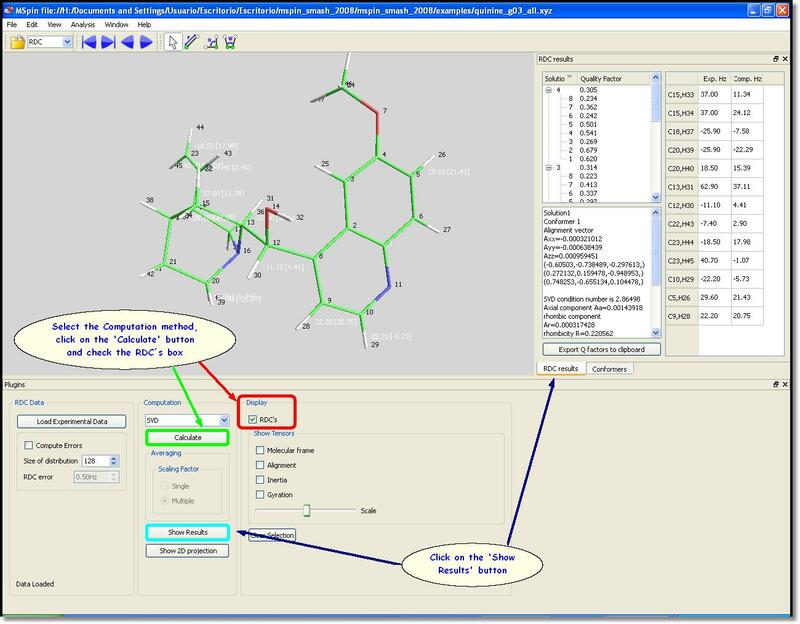 In this case we have selected the SVD method and then clicked on the “Calculate” button (green rectangle in the picture below) to perform the computation. We have also ticked on the “RDC” box to display the values on the molecular visor, as you can see in the picture below. 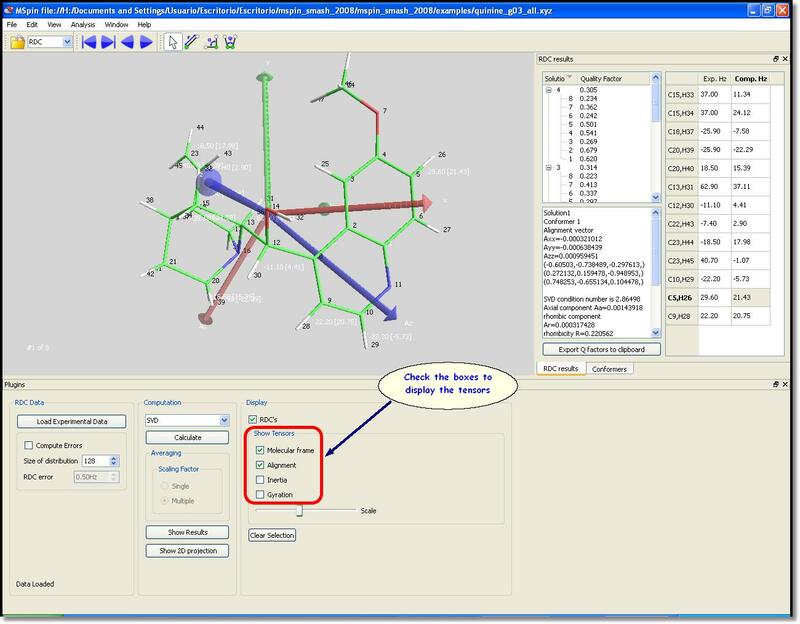 The user will be able to show the molecular frame axes just by ticking the desired option on the ‘˜Show Tensors’ menu (red rectangle on the picture below). 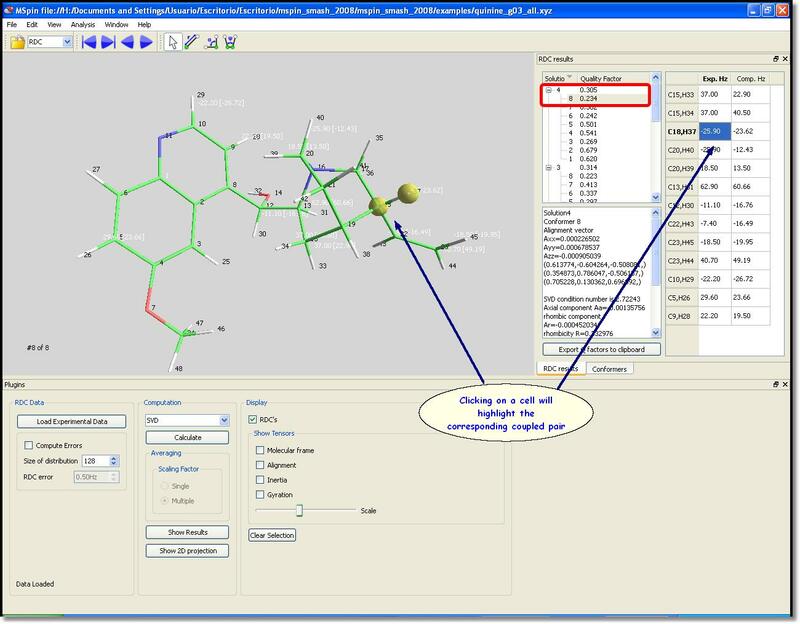 In the same way, the Tensors (Alignment, Inertia or Gyration) will be displayed (and scaled) on the molecular visor by selecting the desired option on the ‘˜Show Tensors’ menu.